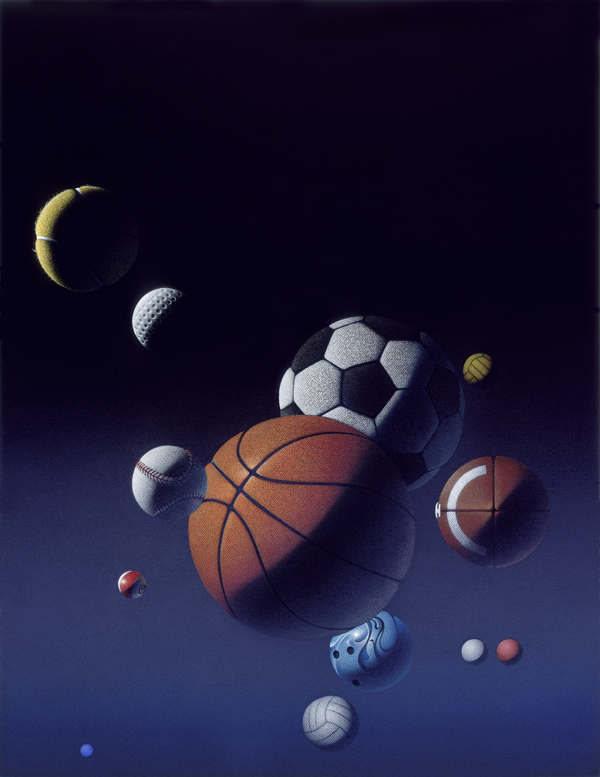 Printed on Coated Paper Sized: 24.5" x 30.5" Image Size: 20.5" x 26"
Spaceballs is a posteresque tribute to sporting games played with balls. Mel Brooks would be shocked! The original 16"X20.5" painting was created on triple-primed linen canvas using graphite pencil under-drawing, transparent acrylic paint and colored pencil.